I was supposed to go the Negev desert Safari tour. But when I was picked up from the hotel, I realised that the desert tour was cancelled and they tried to put me in the Dead Sea and Masada tour which I did two days ago. So I refused and they finally put me to the Bethlehem and Jericho tour. We went to Beit Sahour, where I was last night to see Mara with George. I thought the Shepherds’ field was in Bethlehem last January tour, but I now know that it is in Beit Sahour, the neighbouring town. There was not much things to see because I’ve been already there before. 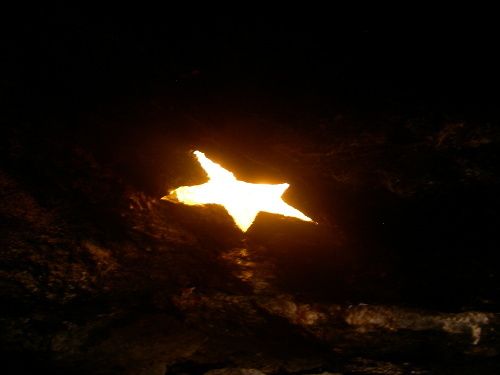 I just took this picture of shining star in one of the caves. 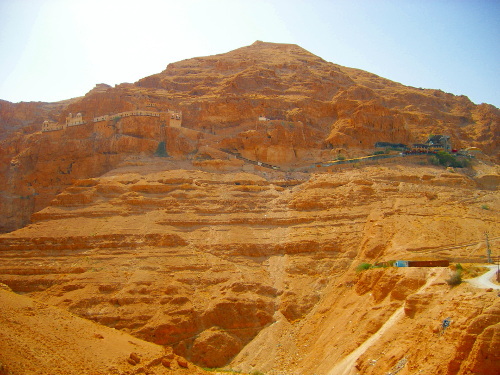 The guide said that it is believe that the three magi stayed in this cave and did not go to king Herod. And this shepherds’ field is actual the field of Boaz, the grandfather of king David. 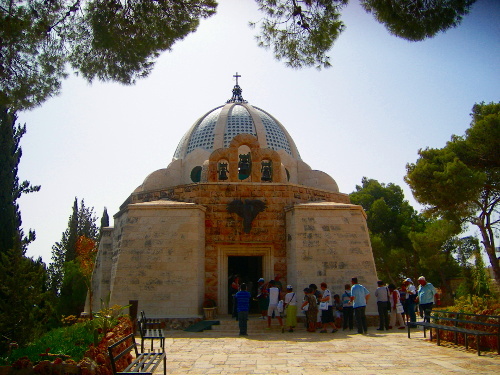 In Bethlehem, we went to the Milk Grotto Church before we went to the Church of Nativity. 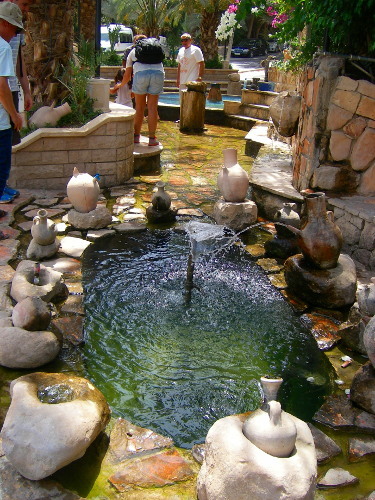 It was nice because the Milk Grotto Church was not covered by last trip. 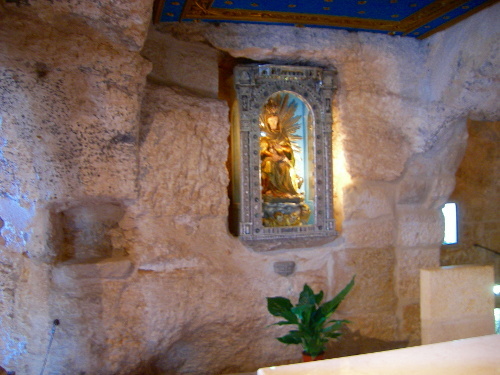 They believe that the holy family hid in this cave. And when the Mother Mary was feeding baby Jesus, she slipped a few drops of her milk, and it changed the colour of the rock permanently into white. So the rock down the cave church is all white. 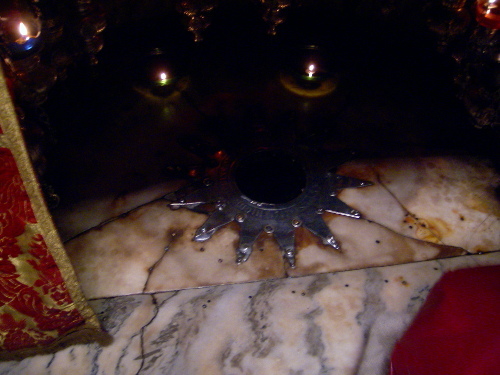 Last time, we went to the Church of Nativity, but we were not able to actually go down to the star spot where they believe Jesus was born. Today, we were also supposed to wait at least two or three hours, but the tour guide divided our group to make it smaller than eight people in a group. Then the controlling police officers let the small group go in through different entrance. So we went in without waiting eve five minutes. 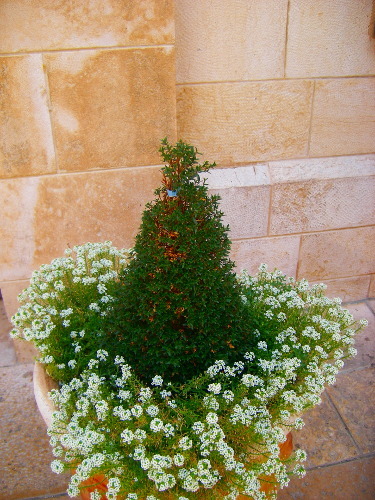 We also went to the Catholic Church, and out side of the Catholic church, they made the small tree or bonsai like a Christmas tree. One thing I found out today is that Jewish tour guides are not allowed to lead the tourists in Palestinian area. So our Jewish tour guide stayed in the mini bus, and we met local Palestinian tour guide for the entire Bethlehem tour. Well, I think it is better to have Palestinian tour guide as the McCormick group did last January. Having George Filmon was very good, I think, in many ways. He can guide people in both Israel and Palestinian area. We were able to hear the view-point from the Palestinian side, and he is not actually bias. 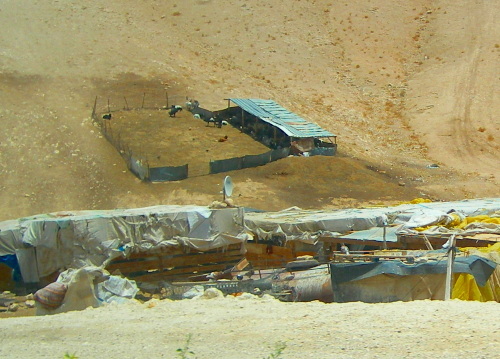 On the way to Jericho, we saw many Bedouin homes, much more than January. If you see the picture above closely, you can see the house animals in the upper part of the photo, and most of them are staying in the shadow because the sunlight is more than even the animals can bear. It is good to see again the 11,000 years old (the oldest) structure in the world ever found so far. Those are the very first bricks that humans made. Because of the invention of bricks, the town and city were made possible. It is literally the revolutionary invention. The Jewish guide said something shocking to me. 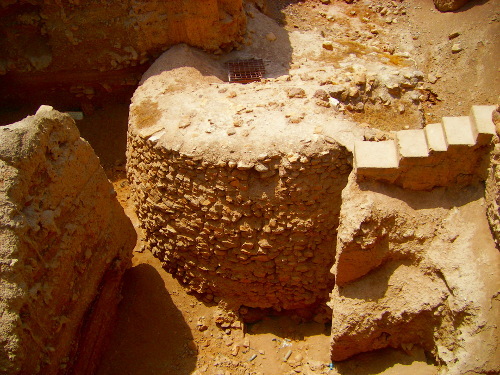 He said that by the recent excavation in Jericho, the Bible was proven to be truth. Then I found the new explanation board which is newly updated – 2014 April, which is after McCormick group’s visit. I need to research more about this. Then I drank some water at the Elisha’s water fountain. 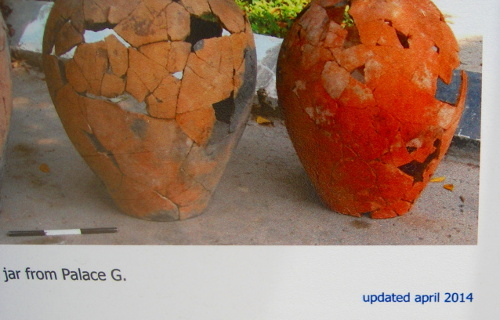 I would not say more about this because I wrote about it already in the first trip to Jericho. Then we went to closer to see the Mount of Temptation where Jesus fasted forty days and forty nights, then was temped by Satan. We also stopped at Zacchaeus’ tree. 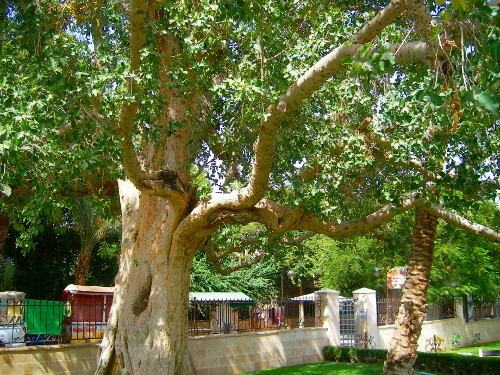 As everybody knows, small Zacchaeus climbed up this tree to see Jesus, and Jesus called him down and stayed his house that night. So I had not that bad day today even though the plan was completely ruined because my original tour was cancelled. It is not bad to visit the same place again. 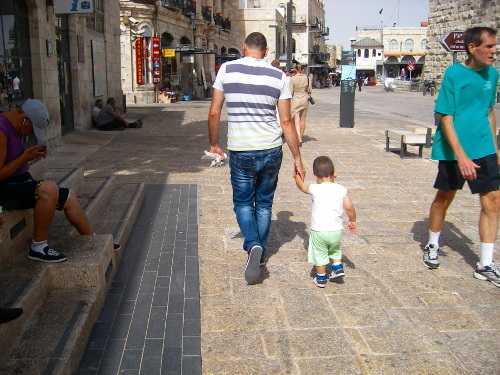 But when I came back to Jaffa gate, I saw something unusual. I found a few people caught the doves, and they just took it. And the weird thing was that the dove did not fly or flee, it looked quite easy to catch. I do not know why they take it. Do they eat it? After supper, I heard the sirens a few times which means Jerusalem is under rocket attack. These days the weather in Winnipeg is just perfect. I feel like I’m in summer again. But the trees are telling me we are heading to the winter. Actually they are so beautiful. The red and yellow leaves on the tree and on the ground are making so amazing scenic walk ways anywhere in my area. 요즘엔 위니펙 날씨가 너무 좋다. 완전 여름 같이 느껴진다. 하지만 나무를 보면 곧 겨울이 올 거라는 걸 알 수 있다. 사실 나무들이 너무 아름답다. 울긋불긋한 잎들이 나무에 달려 있기도 하고 땅에 깔려 있기도 해서 내가 있는 지역에서는 모든 곳이 정말 아름다운 산책길이다.